Thank you for visiting our website. We are a small jewelry store located on the shores of St Marteen. Our store is now under new management which has have more than 15 years of experience in the jewelry industry. We are dedicated to serving you, our customers. Bedazzled Jewelers offers several different shipping methods to meet your delivery needs. We calculate our shipping cost for each shipping method based on the type and quantity of items you order. Your shipping and handling charges are summarized at checkout and most packages in your order can be tracked via our carriers websites. To find out how much shipping is, proceed to checkout with the item(s) in your cart. The shipping cost for the order will be displayed in the Select Shipping Option section of the checkout page. You can shop with confidence here at Bedazzled Jewelers because we use secure transaction methods including but not limited to PayPal. Feel free to address any comments questions or concerns. 14KT PINK GOLD FASHION RING. 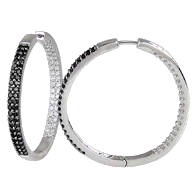 SILVER HUGGIES EARRING BLACK TREATED DIAMOND. 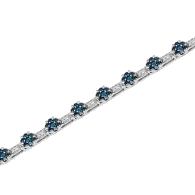 3.00 ct BLUE TREATED DIAMONDS, 14KT WHITE GOLD FLOWER BRACELET. 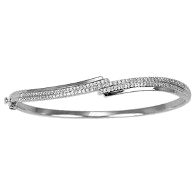 14KT WHITE GOLD FASHION BANGLE WITH BROWN TREATED DIAMONDS. 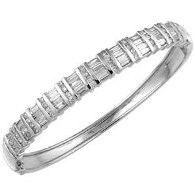 0.40 ct BROWN TREATED DIAMONDS, 14KT WHITE GOLD FASHION BANGLE. 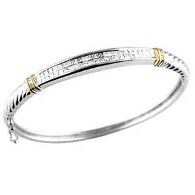 10KT YELLOW GOLD FASHION BANGLE WITH BROWN TREATED DIAMONDS. 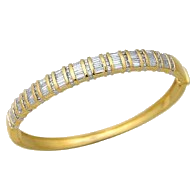 .45 ct BROWN TREATED DIAMONDS., 10KT YELLOW GOLD FASHION BANGLE.